All bookings must be made directly to Wazo Travels Limited. Office in Yangon, Myanmar and contact the e-mail to info@wazotravels.com and Fax: (+95-1) 397297, 295912 . Our Yangon office to you the tour price and confirm reservation. After accepted the itinerary, price and payment procedure, we will make necessary arrangement and then we will send to you the booking confirmation by e-mail. All tour prices are quoted nett in United States Dollars (US$). Tour Pice our offered subject to change without prior notice in line with market, currency fluctuation and fuel price rises. The tour price does not include additional costs and expenses such as international airfares & airport taxes, cost of visas, excess baggage charges, personal or baggage insurance, personal expenses & drink and any other items not mentioned in the included services. Every 15 full paying members of a group will be given one complimentary for tour leader subject to a maximum limit of 2 members per group. Upon confirmation of a reservation WAZO TRAVELS will usually require 50% deposit to secure all travel services. Remaining balance omust be paid at least 14 days in advance to the client’s arrival. If you do not have enough time to transfer the remaining balance, you can settle it by cash on arrival. If booked less than 30 days from arrival, payment procedure must required immediately. However some particular payment terms may be negotiated upon request and please inquire upon booking. Payment can be made by cash and bank transfer. We will provide you our company bank account details, you can bank-in direct to our company account and Fax/E-mail us the bank-in slip for reference. Any bank charges levied by the sending bank relating to transfers to WAZO TRAVELS must be paid by the clients. WAZO TRAVELS does not charge the cancellation fees for any booking as 35 days prior to the tour start. Company operation & communication costs and direct charges or prepayments according to the policies of hotels, airlines, cruises' and other contractors of Wazo Travels will normally be charged to the client. We do recommend that our clients carry adequate travel insurance which covering health, trip cancellation, lost and damage luggage etc.. be purchased. WAZO TRAVELS cancellation policy are as follow: 35 days prior to arrival Nil 35 to 21 days prior to arrival 50% of full tour cost. 20 to 15 days prior to arrival 80% of full tour cost. 14 to 7 days prior to arrival 90% of full tour cost. Less than 7 days prior to arrival 100% of full tour cost. Anyhow we try to be flexible as possible with our policy and try to minimize any cancellation fees to all our clients. After commencement of travel, no refund either in full or part will be given for unused services included in the program unless it is directly caused by WAZO TRAVELS. If you are denied to enter the country, no refund will be given. Accompanying Guides, For our fully Escorted Tours we select a guide from Yangon to stay with you throughout your entire stay in Myanmar. Clients with special interests should let us know. Accompanying guides are also recommended for (a) large groups - especially those travelling without a tour leader (b) elderly or physically challenged clients who may need special attention when travelling between destinations (c) special interest groups whose guide needs expertise in specific subjects - archeology, art and history, fauna and flora, etc. Qualified guides speaking other foreign languages including English, French, Japanese, Italian, Spanish, Russian, German and Mandarin are only available as accompanying guides. Special guide fees will apply. Local Station Guides, A local guide mostely will speak English and a few other languages guide and will meet the client in each new destination (Yangon, Bagan, Mandalay, Inle Lake, etc.). These guides have grown up in their native towns and offer the clients a chance to spend time with a local native. Also this #e91d26uces the tour cost to the client. 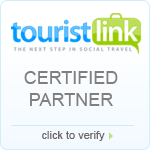 All WAZO TRAVELS Guides are fully licensed, well trained and eager to please our clients. Whenever possible our guides will always try to include special local ceremonies, festivals or events which may coincide with your visit. Any injury, damage, loss or delay to person or property. Additional expenses or inconvenience directly or indirectly or by any Service Provider or by “force majeure” or other events beyond our control, including, but not limited to war, civil disturbance, accidents, pilferage, delays, severe weather,Acts of God or Acts of Nature or Acts of Government. Failure of machinery equipment, vehicles or industrial disputes. Yet, we will give our fullest afford to retain the original tour programs as agreed. All bookings must be made directly to Wazo Travels Limited. Office in Yangon, Myanmar and contact the e-mail to info@wazotravels.com and Fax: (+95-1) 397297, 295912 . Our Yangon office to you the tour price and confirm reservation. After accepted the itinerary, price and payment procedure, we will make necessary arrangement and then we will send to you the booking confirmation by e-mail.All tour prices are quoted nett in United States Dollars (US$). Our offered tour prices subject to change without prior notice in line with market, currency fluctuation and fuel price rises.